With a beautiful street presence and set on an immaculately maintained 563m2 block with parklike gardens and sweeping views across the suburbs, this comfortable family home presents a classic New Lambton lifestyle in a quiet, neighbourly street. 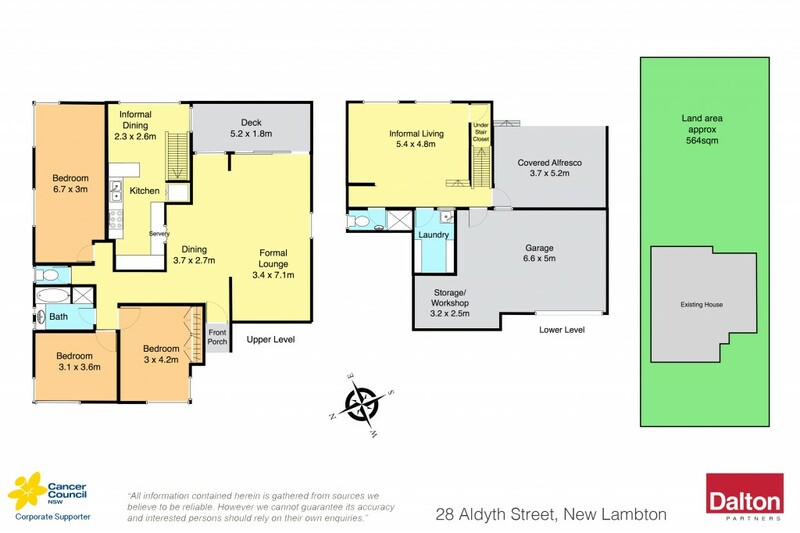 Neatly presented throughout, it offers a family-functional floorplan over two versatile levels with living areas both upstairs and down, a central modern kitchen, peaceful bedroom accommodation and two bathrooms for ultimate convenience. A side driveway leads to a single garage with workshop and the home is surrounded by established gardens - perfect for those with a green-thumb. Step outside and walk to New Lambton village, sought after schools, child-friendly parks or arrive at Westfield Kotara or Blackbutt reserve within minutes. * Classic New Lambton lifestyle minutes to everything. * Offers sweeping district views from the homes rear. * 3 lovely bedrooms, 1 with RC/AC, 2 hosting BIR's. * Two versatile living areas with RC/AC, one up/one down. * Central kitchen complete with casual dining area. * Upper level balcony plus undercover alfresco area. * Internal laundry, study area, SCG with workshop. * Beautiful, established rear yard is generous in size.